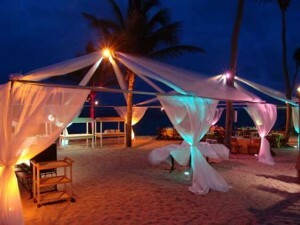 Bring the surf and sand of the beach with our fun and exciting beach parties. Sometimes simple is best… For one person who always says “Don’t throw me a party…” The solution is a beach bonfire. Informal, and everyone has a good time. Wait until dusk, then grab a group of friends, and head to the beach with fire pits. Bring blankets to snuggle with, a boombox (or your own musical instrument, if you are so inclined), firewood, and of course lots of snack food. Watch the sun go down, enjoy each others company and enjoy the sand and surf. Does your child love the beach? Well, slip on those flip flops and grab that surfboard! Our beach birthday parties will make you feel like you’ve landed in a tropical paradise. Best for Kids who just love the surf and sand.